PVC or Polyvinyl chloride is replacing traditional building materials such as wood, metal, concrete and clay in many applications. It is a combination of plastic and vinyl used in pipes, flooring and roofing foils, window frames, cables and wall coverings. PVC pipes are durable, strong, lightweight, and resistant to rusting and rotting. As a result of these properties, they are used extensively in water systems, underground wiring and sewerage. 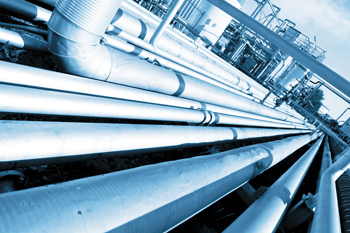 As Saudi Arabia is experiencing rapid economic growth, it has led to the demand for better infrastructure, thereby providing a thrust to the PVC pipes market in the region. According to a report titled Saudi Arabia PVC Pipes Market: Industry Trends, Share, Size, Growth, Opportunity and Forecast 2018-2023, Saudi Arabia PVC pipes demand reached a value of $452 million in 2017, growing at a CAGR of around 2.0 per cent during 20010 to 2017. Looking forward, the market is expected to reach a value of $552 million by 2023. PVC pipes offer numerous advantages that make them ideal for a wide number of applications. They are cost-effective as they offer easy-installation, eliminate the need for welding and have low-maintenance costs. The increasing focus towards construction and infrastructural developments in Saudi Arabia has resulted in an augmented demand for PVC pipes, majorly in the western and eastern regions of the country. Apart from this, active private participation encouraged by the government through Public Private Partnership (PPP) and Build-Operate-Transfer (BOT) models has further led to the market growth. Another government initiative of setting up industrial parks and clusters for plastic conversion is anticipated to significantly benefit the PVC pipes market in Saudi Arabia. Moreover, in-house compounding is another upcoming trend in the market, which is likely to influence the market positively. Saudi Arabia polyethylene (PE) pipes market reached a volume of 27,107 tonnes in 2017, exhibiting a CAGR of more than 6 per cent during 2018-2023. The market is expected to reach a volume of around 40,934 tonnes by 2023, according to a new report. Polyethylene (PE) is a highly crystalline non-polar thermoplastic generated through the polymerization of ethylene. It can be easily melted and reshaped in different product ranging from bags, bottles, and pipes to medical devices and bulletproof vests. PE pipes are durable, flexible, resistant to biological growth and do not rust or corrode. Additionally, a wide range of piping applications in Saudi Arabia, such as supplying water for drinking and irrigation, serving as telecom ducts, and sewerage and sewage disposal, have resulted in a high demand for PE pipes in the country, said the latest report by IMARC Group. PE pipes are extensively used in the distribution of oil and natural gas as these pipes are inherently tough, resilient and resistant to damage caused by external loads and vibrations. This is expected to spur the growth of the market as Saudi Arabia has an abundance of oil, natural gas and minerals. Additionally, these pipes are used in desalinating sea-water, treating wastewater and supplying water for irrigation. This is further projected to influence the growth of the market. Some of the other factors that are propelling the growth of polyethylene as a piping material are the cost savings in labour, equipment and installation coupled with longer service life and lower maintenance cost. The PE pipes market is segmented on the basis of type into HDPE, MDPE, LDPE and LLDPE pipes. Currently, HDPE pipes are the most popular product type, holding the largest share. The market is also segregated on the basis of applications as water supply, gas supply, sewerage and drainage, mining and slurry lines, irrigation and others. Amongst these, the water supply sector is the leading application area, accounting for the majority of the total share. Some of the key players operative in the market include Saudi Plastic Products Company Ltd, Neproplast, Alwasail Industrial Company, Arabian Gulf Manufacturers Ltd, Saudi Arabian Amiantit Company and Al Jubail Sanitary Pipe Factory.